Open-air cinema is over a hundred years old; it was invented in the same decade as the aeroplane and the automobile. 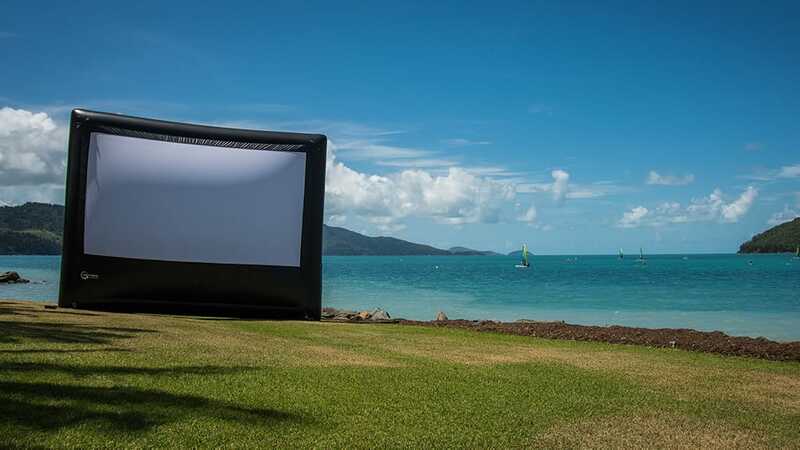 The oldest constantly operating outdoor cinema, Sun Pictures, is located in Broome, Western Australia. According to Guinness World Records, it holds the title of the Oldest Open-Air Cinema in Operation. This year, it is celebrating 101 years since its opening night on 9th of December 1916. 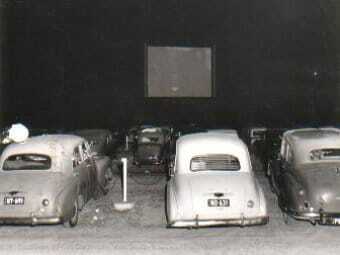 The first drive-in cinema was invented in 1914 in Las Cruces, New Mexico (USA). The first Australian drive-in opened in 1954 in Burwood, a suburb of Melbourne. Drive-ins were great for families with small children. Highly popular in sixties and seventies of the 20th century, drive-in cinemas eventually went out of style. There are only a handful of them still in operation in Australia, simply because the land they occupied became too valuable. Yet, drive-ins are still adored by many people around the World. Resurgence of Outdoor Movies began early this century, with the invention of inflatable movie screens. Lightweight, wind resistant and portable, they made it possible for companies to bring movies to remote places and to create movie theatre in any location. The inflatable movie screen found its legs initially in Germany, followed by the USA. The first Australian Drive-in opened in 1954 in Burwood, Victoria. It came to Australia thanks to the enthusiasm and persistence of outdoor movie specialists, such as Smart Digital Australia. Technology of movie projectors has also changed. The profession of projectionist is becoming obsolete. Projection booth with movie projector was replaced by the digital (or video) projector. DLP (digital light processing) is the most widely used cinema technology since 1999. DLP is considered the best solution for outdoor movies. Changing values of our society also played a role in openair cinema comeback. People want to spend more time outdoors, and to be together with friends and family. Open air cinema gives just that – breathtaking scenery, fresh air, opportunity for socializing and positive emotions. Traditional, or hardtop, cinemas work really well for the latest movie releases. However, not everybody goes to the cinema to watch the latest movie. Families with small children, people with disabilities, people living in remote communities, far from traditional movie theatres, may find it difficult to go to the traditional movie theatre. Going to the movies can be a costly entertainment, so if there is a more affordable opportunity, we will all jump into it. All of us would go to the movies to be entertained and be relieved of the pressures of the day. What we need is having a relaxed and entertaining experience. You do not need the latest movie to achieve that! The open air cinema is an experience very different from the traditional movie session. Imagine sitting on a deck chair or on the grass, having a laugh and a giggle with your friends over a glass of champagne and a BBQ or snacks, enjoying the warmth of the summer night. Truly a memorable and fantastic experience! Outdoor cinema has a romantic flair about it. The movie screen can be located among the most beautiful scenery or near iconic architectural landmarks, like in this selection of the best open-air cinemas in Europe. Outdoor movie theatre can bring unusual and even bizarre experience, like hot tub cinema in New York. For many drive-in devotees from yesteryear, it is a great way of traveling back in time for recollection of the day they were taking their partner to the drive-in for a fun and entertaining night out. Australia, with its laid-back outdoor culture and great weather, is a fertile ground for open air cinemas. The popularity of outdoor movies is definitely on the rise. New outdoor venues appear every year; inflatable screens have become a must-have feature of many small businesses, such as holiday parks, beer gardens, sports clubs and hotels. Local councils offer movies in the parks for community, because we all love outdoor movie nights!